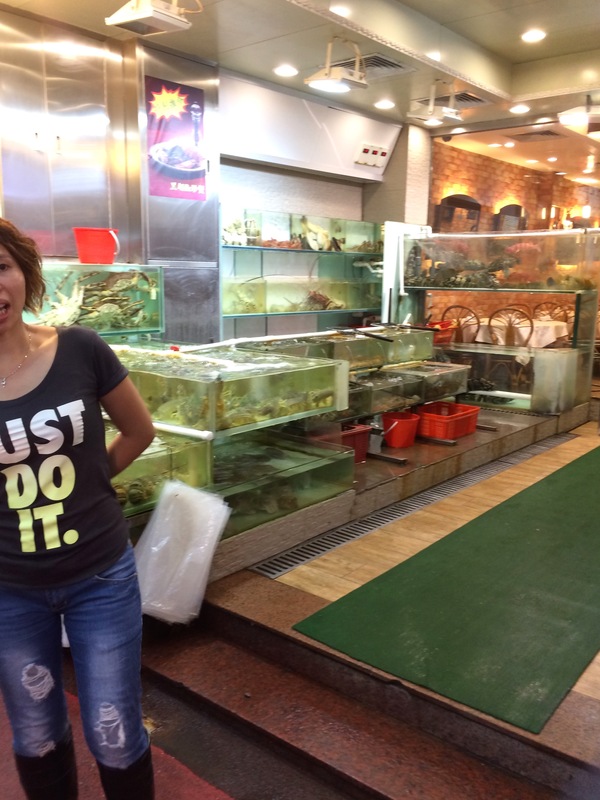 Seafood Adventure in Hong Kong | Hey, Girlfriend! 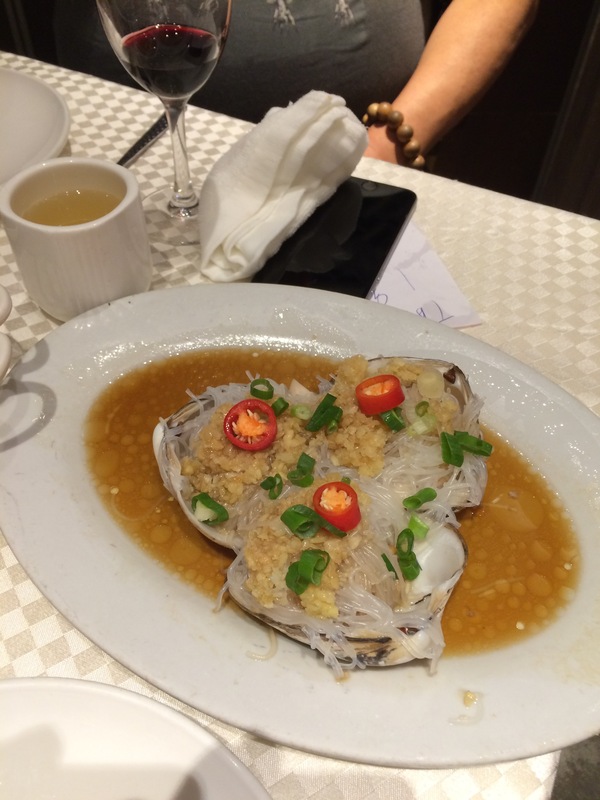 During our recent Hong Kong getaway, we had dinner with a friend in the Lei Yue Mun seafood district in Kowloon. It is a maze of small shops filled with live seafood sitting or swimming in plexiglass tanks of circulated water. 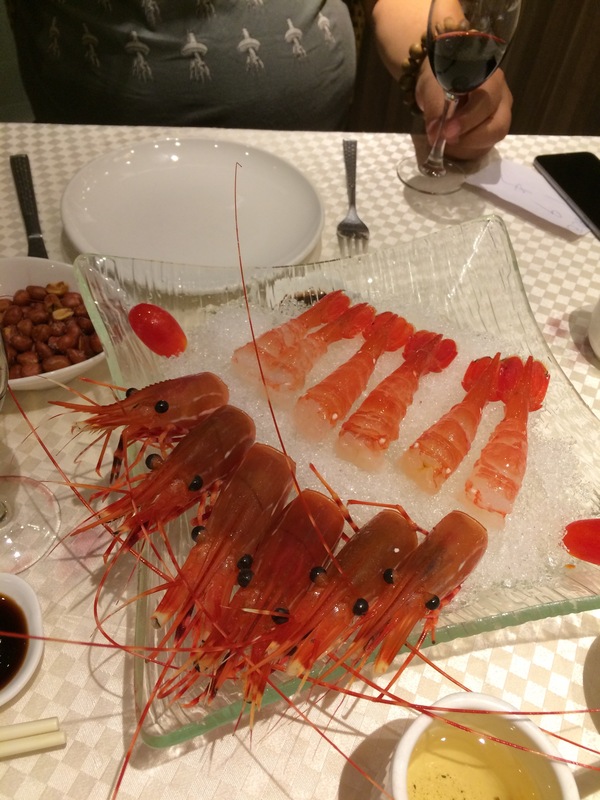 Some of the seafood was common to me and some was strange and exotic. I was told it is imported from around the world. We went to the last shop in the market place and chose white fish, lobster, scallops, oysters and prawns. 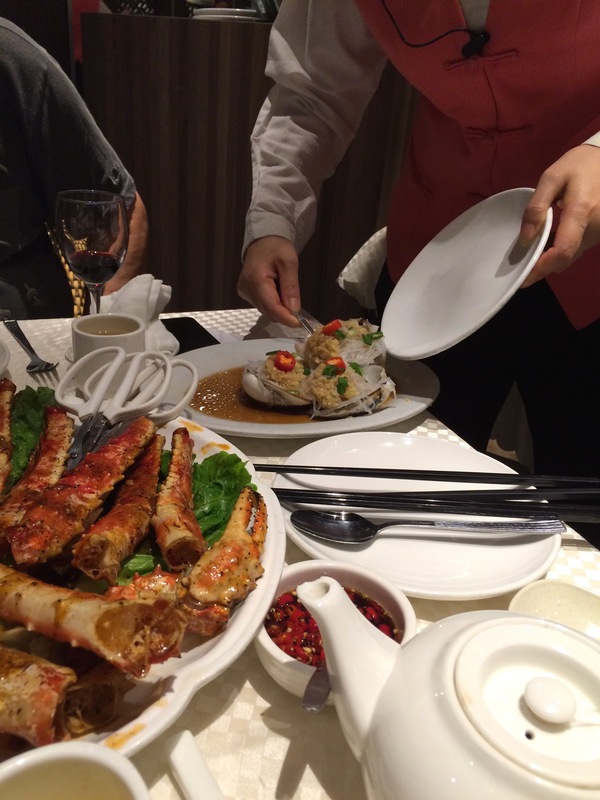 Once we agreed on a price and paid, we left the seafood shop and went to the restaurant next door called Gateway Cuisine. Our seafood was delivered to the restaurant while we were being seated. Once we were seated, we were asked how we wanted each item to be prepared. Then we ordered soup, steak, rice and tea. 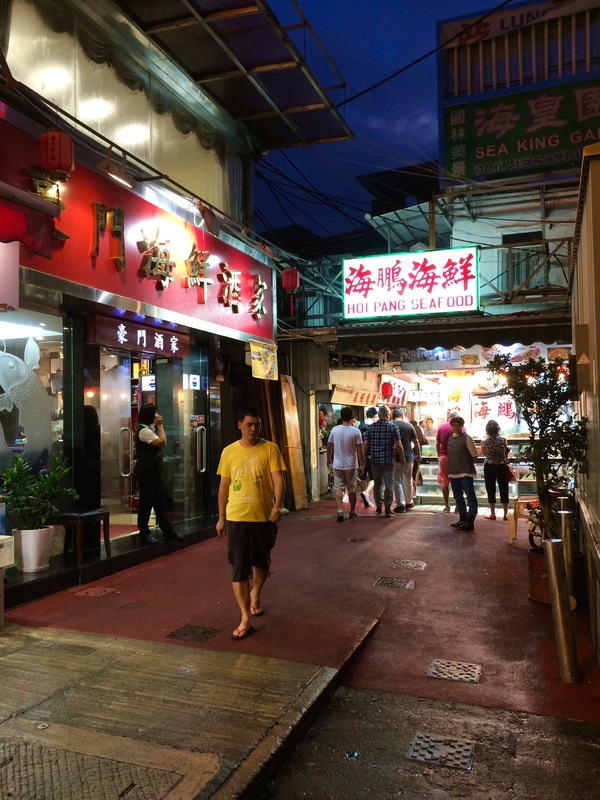 In spite of the warm weather and mostly seafood fare, we purchased red wine from the wine store in Lei Yue Mun and brought it to the restaurant. Juicy and delectable – Heads and tails! I should have carried my camera, but not realizing what I was about to experience, I left it in the hotel room safe. Needless to say, I am thankful for the camera on my husband’s phone. Although, the friend who brought us to Lei Yue Mun lives relatively nearby and is a regular visitor, I read that it’s a touristy place. I also read that you should expect to negotiate on prices and it is best if you speak Cantonese. Yum! What a cool experience! It sounds like you soaked it up and got as much as you could out of that awesome trip. Thanks for sharing it with us!